In 2007, fuel prices across North America skyrocketed with alarming speed, thanks to massive instability in the Middle East and the advent of the Great Recession. Razor-thin profit margins shattered, and many cash-poor fleets went under almost right away. Over time, the situation both at home and abroad stabilized. Eventually, boosted by relative peace and prosperity, and new fracking technology that allowed access to crude oil trapped in shale rock, diesel prices settled back down to around $2 a gallon — a price point that at the height of the recession, many never thought they’d see again. Still, experts cautioned, fuel prices remained notoriously volatile. They would climb again one day. It was simply a matter of time. It appears that “one day” may be here. As a good economy has shifted into overdrive over the past 18 months, the OPEC oil cartel has opted to keep production low as a way of driving up prices. That and seasonal increases in demand as summer driving ramps up has market analysts predicting $3 a gallon averages for fuel nationally. And that was before President Trump elected to pull out of the Iran Nuclear Non-Proliferation Treaty last month, a move many analysts fear will send prices soaring. If a full-scale war should erupt in the Middle East, there is no telling where pump prices might eventually land. 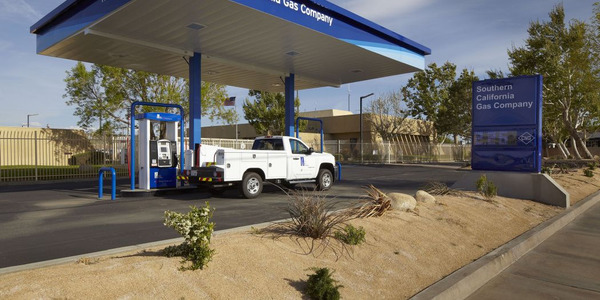 If you’ve been coasting on reasonable fuel prices for a few years, there’s no better time to refocus on fleet fuel economy. Luckily, even as fuel prices fell to “normal” levels after the worst of the Great Recession, a culture of fuel economy had taken root among major carriers across North America. Many of these fleet managers realized that even in times of cheap diesel, fuel-efficient trucks made outstanding business sense. 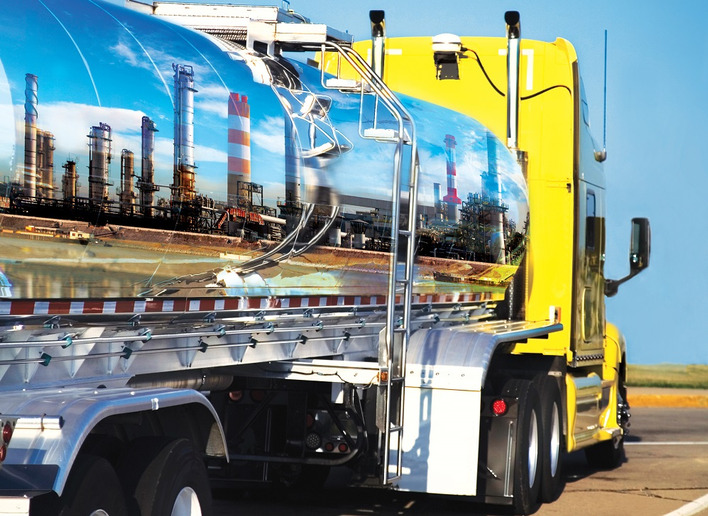 With fuel routinely ranking as a top operating cost for fleets, common sense dictates that every penny not spent on fuel can drop straight to the bottom line. 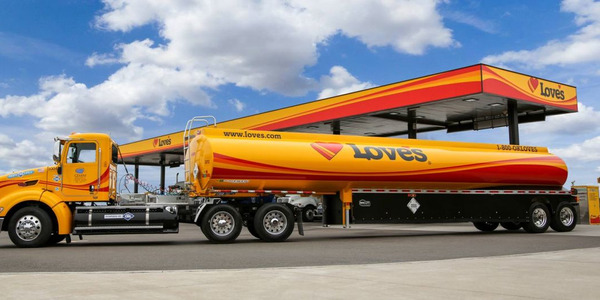 Whether you’re just starting to refocus on fuel economy or want to improve what you’re doing, top fuel-saving fleets we spoke with suggest these three tried-and-true ways to improve your fuel efficiency. 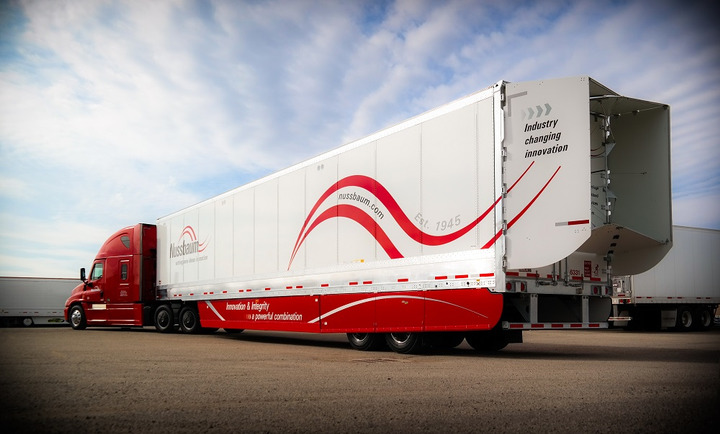 Illinois-based Nussbaum Transportation is serious about aerodynamics, including 29-foot side skirts on trailers rather than the more common 23-foot ones. Nothing has transformed the ability of on-highway Class 8 tractors to get better fuel economy more than the use of aerodynamics to sculpt and guide the flow of air around the truck and trailer in order to cut through the air more efficiently. But because airflow is invisible, aerodynamics can be frustrating for many fleet managers. Albert runs a full suite of aerodynamic devices on his 2018 Freightliner Cascadia, including FlowBelow’s undercarriage system, wheel covers, Fleet Engineers AeroSaver Classic side skirts that cover the landing gear, Stemco TrailerTail, a nose cone, Fleet Engineers AeroFlap mudflaps, and crossmember shields. But Albert has also been known to create his own solutions, once taking a power saw to a set of mud flaps he felt were sticking too far into the slipstream around the truck. His current truck features a relocated and recessed license plate, and the rain gutter on his trailer is plated over to smooth out airflow over it. As tight as Albert’s trailer gap is, Nussbaum Transportation has him beat. The Illinois-based truckload fleet uses gaps set at a mere 12 inches. It’s part of a highly aggressive aerodynamics package that includes FlowBelow wheel covers, and 29-foot side skirts on trailers rather than the more common 23-foot ones. 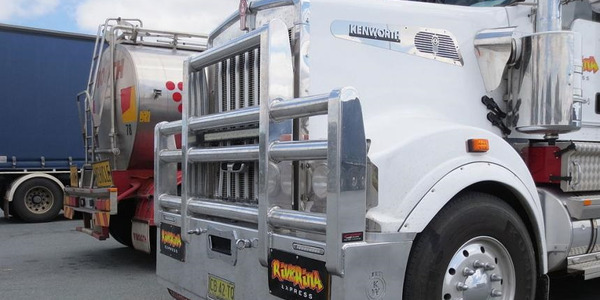 Front and side aerodynamic flaps also extend down close to the ground, all in an effort to push air straight back past the tractor-trailer instead of underneath it. Zero-offset wheels make sure the tires aren’t protruding into the windstream, with Anderson aerodynamic mud flaps and Stemco TrailerTails completing the package. 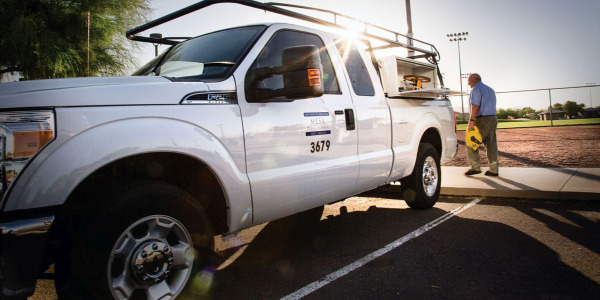 As a result of this bit of knowledge, Albert keeps a sharp eye out for dirt and dead bugs on truck and trailer surfaces when he’s doing walk-around inspections. When he does find a dirty, buggy section, he starts looking at the surrounding area and considering options for ways to move air around it. He will even mount a video camera in particularly tricky areas to study how the spray patterns flow. 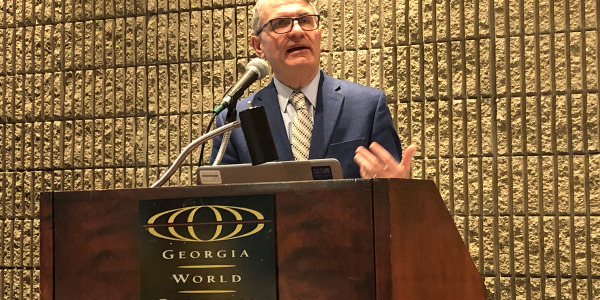 Henry Albert, CEO and driver at Albert Transport, says thinking of tractor-trailer aerodynamics as a system is vital for putting up good fuel economy numbers. He’s also a great example of how driving technique makes a difference. Another proven way to boost your fleet’s fuel economy is to move away from manual gearboxes and spec automated transmissions in your next truck. These are complex pieces of equipment that depend on highly sophisticated computer-controlled algorithms to deliver an optimal blend of fuel economy and performance. 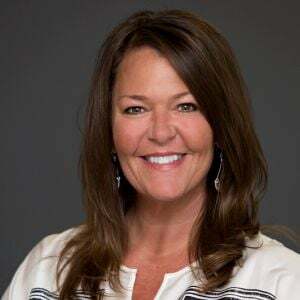 But, fuel economy experts caution, too many fleets assume that automated transmissions are ready to go right out of the box when a new truck arrives at your shop. And that can be a big mistake. Automated transmissions are also the standard spec at SFI, although the fleet has a mix of 10- and 12-speed units depending on the age and make of the truck. And like Morrow, Lamarca emphasizes the importance of getting unit programming right. SFI’s preference is to program proper shift points at the correct rpms to use peak torque in each gear. 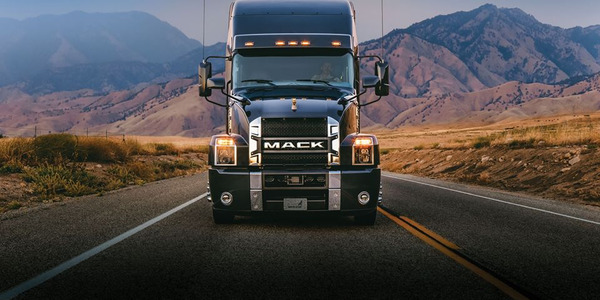 “This gives our drivers the power they need to get rolling, while minimizing fuel consumption and over-revving engines,” Lamarca says. 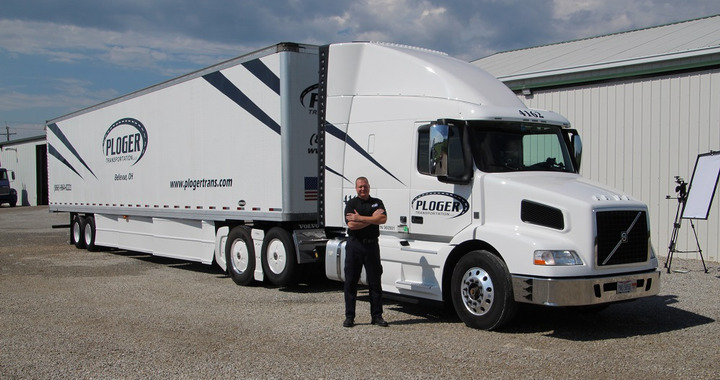 Joel Morrow, with Ploger Transportation, managed 9 mpg during the Run on Less fuel efficiency challenge — despite being stuck with a trailer that wasn’t up to his usual aerodynamic standards. Albert’s thoughts on drivers have broader implications as well. 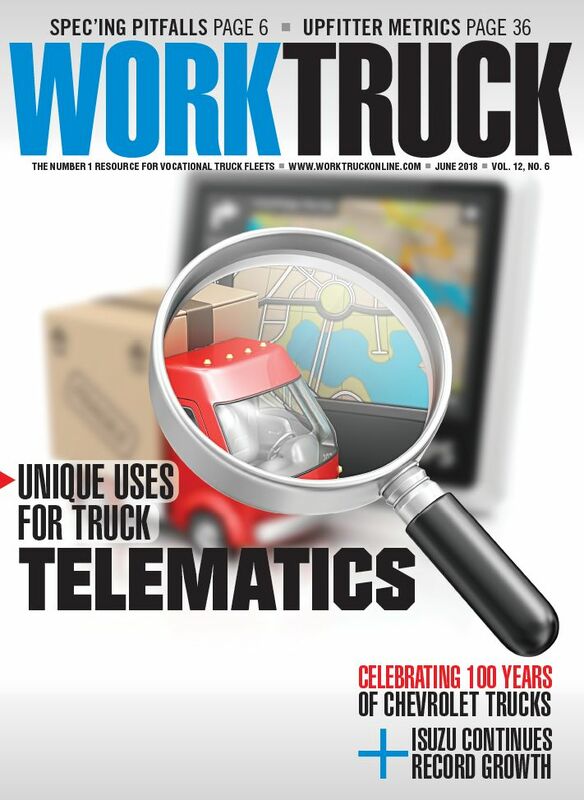 Regardless of all the technology on a truck today, the driver remains the number one variable with the greatest potential to boost fuel economy. 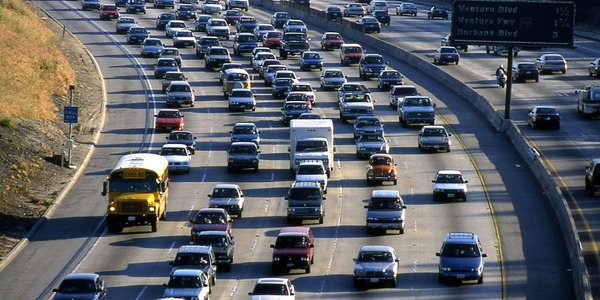 That is because every aspect of vehicle management — from idle times, to acceleration, to lane changes, to acceleration and cruising speeds — fall under the drivers’ responsibilities. 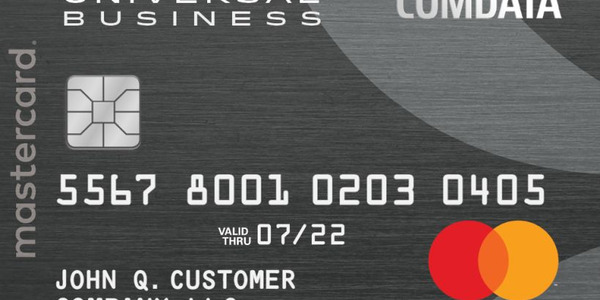 Perhaps no single aspect of getting a profitable fuel management program up and running is as important as securing buy-in from your drivers. When Nussbaum Transportation made the commitment to emphasize fuel economy, 11-year veteran Cory Adams quickly emerged as the fleet’s top gun. 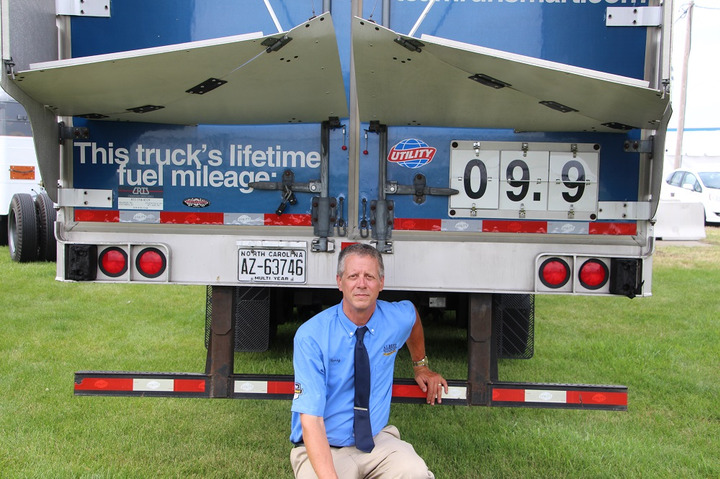 Today he is Nussbuam’s driver performance coach, tasked with teaching newly hired drivers how to put up the kind of mpg numbers Nussbaum is looking for, and working with veteran drivers to stay focused if their mpg numbers start to slide. Albert, who is already incredibly disciplined as a driver, says he’s been “playing around” with the LinkeDrive Pedal Coach lately. But his friendly rival, Morrow, is sold on the driver coaching tool, an in-cab app that constantly calculates the optimal fuel rate during every trip, giving the driver a moving mpg target that doesn’t penalize him or her for a heavy load or an old truck. The main thing to keep in mind about fuel economy numbers in Class 8 trucks is that the process never ends. Even a fuel spec guru like Henry Albert is pleasantly surprised when he participates in an event like Run on Less and learns something new. The lesson, he says: Pay attention to everything, challenge yourself and your employees, and then see where you can take the numbers.